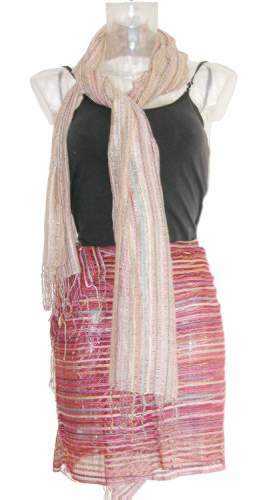 Made of Polyester, these sweet wraps are loosely loomed to allow a bit of show-through. Measures 72x24". Great as a shawl ,sarong, or an accent belt over jeans and a t-shirt.